I know this blog is basically dead. Chances are it will stay that way. Turns out that being a fan is a lot more fun than being a writer that doesn’t get paid. Who would’ve thought? Anyway, if this site ever does get updated again, it’ll be over at infieldfly.ca, not here at the generic WordPress site. In conclusion, I still believe in Brandon Morrow. The Blue Jays just defeated the Colorado Rockies for the second night in a row. This victory is the seventh in a row for Canada’s Team. They did so behind the emergency starter who was subbing for the backup starter, Esmil Rogers. The fact that Rogers, who began the season in the bullpen (where he had an ERA of 4.23, a WHIP of 1.41, and only 4.6 K/9), has made the transition to a starter wonderful. It is kind of a representation of just how inexplicably well things have gone since June 5th. As a starter the same Esmil Rogers has and ERA of 1.71, a WHIP of .95 and 6.85 K/9. Yes, when asked to do more, and face a lineup 2 or 3 times, Esmil has had better results by any measure you would like to use. On June 5th, the Blue Jays got 8 1/3 innings out of R.A. Dickey in San Fransisco. It was the first time all season that a Jays starter had recorded an out in the 9th inning. The win brought the team up to a 25 and 34 record. Since that day, the Blue Jays have been rolling. They are, in many ways, a very different team than they were in April and May. They took 2 out of 3 from Texas. The first game was an easy victory, 6-1, in which the Rangers only scored in the first. The second game was an 18 inning affair, but they prevailed 4-3. The third game was one in which they frittered away an early four run lead, and lost 6-4. They went to Chicago, and after an off day, they played in the fog, and lost 10-6 behind a lackluster R.A. Dickey start. That’s 5 games, and the Jays were 3-2 after those 5, so, why did I start the ‘hot streak’ there? Well, the 6-1 game was started by Esmil Rogers on a limited pitch count, only his second start, and the bullpen held the Rangers scoreless for 5 innings, which is part of what has been so great about the Jays in this stretch. The 18 inning game was a nail biter, and you could make a good argument that they got lucky by the 18th inning, but also that the bullpen continued to dominate. So, two of the wins are about luck and the bullpen, and one of the losses can be blamed on the ‘pen. The next game in Chicago was a 10 inning affair, highlighted by a last-strike game-tying home run by Jose Bautista. One swing saved the day, and the bullpen held the Sox for the bottom of the 10th. Then the Jays beat the Rangers, in a game untied from 1-1 with 2 outs in the 8th on and Encarnacion double. Another ‘clutch’, or lucky, depending on your viewpoint, hit, and it saves the day. That’s four games that hinge on one hit and a shutdown bullpen. Then 8-0, 6-1, and 7-2 victories. Not real nail biters. Colorado comes to the Rogers Centre, and the Jays are no-hit for 6 innings. Maicer Izturis saves a run with a diving stop. A line drive rocket is hit at Adam Lind. Encarnacion takes a double away by making a leaping catch at third. The Jays score on two singles and a walk in the bottom of the 8th. Another 2 out rally saves the day, and another shutout inning by Casey Janssen ends the game. Tonight, it was Colorado’s turn to get no hit for 6 innings. By the time they plated a run, the Jays had scored 8, for an 8-3 final. In a 10-2 run, the Jays have had 5 games that hinged on a single hit, and depended on a nearly flawless bullpen to complete. I understand that’s how the game goes sometimes, and I can’t get enough of those kinds of breaks going in the Jays favour. I love it. But remember, every game is important, and lots of them could swing any which way. Just another way to look at the swing in fortunes around this team: The Blue Jays starters In April, had the 27th best ERA in baseball and the 24th best FIP (a measure of pitching with fielding removed). In May, they were 27th and 28th. In June they are 6th and 17th. The April starters have not been replaced with better players. Three of them are the same guys exactly. I’d be willing to bet that none of those three months represents a true talent level for any of those pitchers. So the Jays are on a hot streak. Everything keeps breaking right, and at the right time. It turns out better than expected. It isn’t some great epiphany on the part of the players or the coaches. It’s just the best part of a 162 game ride. Hang on, nobody knows what happens next. Yogi Berra, it is claimed, once said “You can observe a lot just by watching.” You can learn a lot too, and some of those things you learn can take you in unusual directions. The thought behind this post, began to bounce around in my head when I was looking at Hit Tracker Online. It is a website that estimates the ‘true distance’ and plots the path of every home run hit in the majors. The site takes video and wind speed with other weather info and puts it together to estimate how high, how hard, and how far every home run ball is struck. 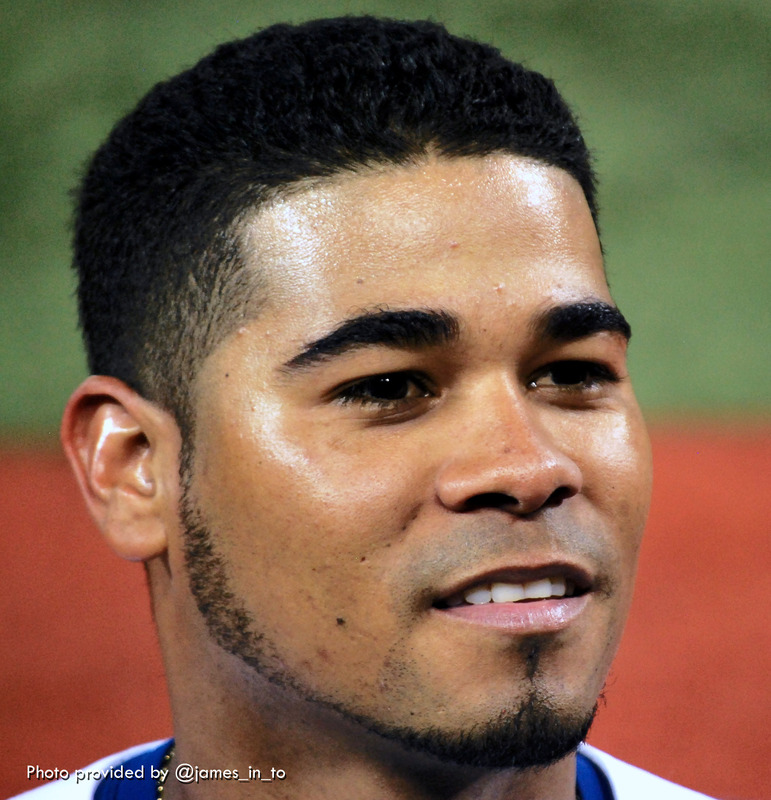 Jeff Francouer, Victor Martinez, Miguel Montero, Juan Pierre and Ichirio Suzuki…. The next time the guy you like, isn’t hitting, remember the company he keeps. And remember that hitting a baseball in the big leagues is much, much harder than Miguel Cabrera, Joey Votto, and Justin Upton make it look. All names pulled from the fangraphs leaderboards. The Blue Jays are now, after a road trip through Tampa and Boston, sitting at 15-24. They are in dead last in their division. And yet, I am encouraged. Through April, and even through the first few games in May, there were a lot of places to point the finger of blame. At some point, every aspect of the game had failed miserably. Injuries, defense, lack of clutch hitting, bullpen meltdowns, starters getting shelled. Every night, you could see something going wrong, and it proved to be the Jays undoing twice as often as they were able to salvage something. 11-21 was the record as they set out on the road last week. they were, to my eyes, almost unwatchable. Baseball without a clock, is viewed, I believe, a little differently than other sports. When one team goes ahead early, it obviously reduces the chance of that team winning the game. Unlike football, say, when you can take a knee late in the game because things are out of reach in the small amount of time left, in baseball, hope exists (however faint) until the 27 out is recorded. When I was a child, I always cheered like my team had great hopes to win, even down by four or five runs, heading into the bottom of the 9th. Three outs left? I always assumed, if you just kept hitting, you could win any game, no matter how late. Thousands of games later, and I’ve come to realize that comebacks, especially those from a deep deficit are very, very rare. Possible, yes, but rarer than I even imagined. Which makes them all the more significant to me. Baseball is a monotonous 162 game grind, punctuated by small bouts of insane activity. When one of those moments comes, I’m not going to miss an opportunity to romaniticize it. 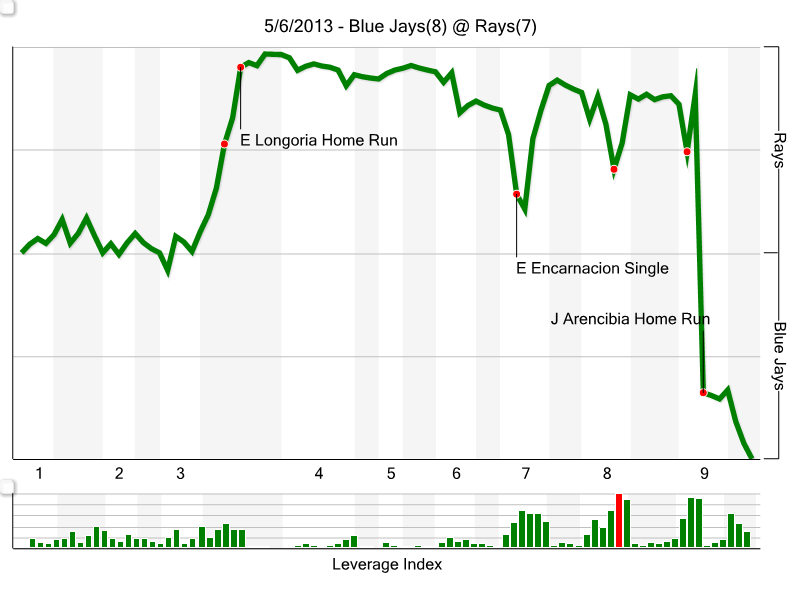 And the best way I know to turn baseball into poetry, is with a line graph. 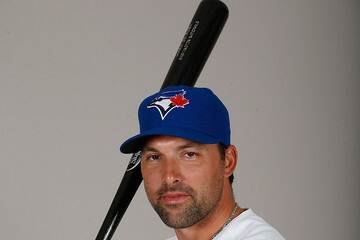 The Toronto Blue Jays defeated the Seattle Mariners 10-2 on Sunday afternoon. They were unable to build on the consistent results against Seattle and Boston early in the week, and scored early and often.